Freemasonry is a movement which has its origins in various secret societies of the middle ages, although it was really in the 18th century that it took on much of its present form. Freemasonry draws on all kinds of pagan religious ideas and involves honoring false deities from the Babylonian, Egyptian, and Greek pantheons. Freemasons today wield much power and influence in world affairs. The extent of this power is difficult to know from the outside. However, it is fairly certain that many of the western world's top politicians, businessmen, judiciary, clergymen (!) and media people are members of this secretive group. Although some freemasons deny it, freemasonry is a religion. New members may be told that it is perfectly compatible with any religion a man may choose to follow, but it becomes clear as one progresses through the various levels of freemasonry that it really is another religion. Freemasonry borrows its many of its religious concepts from ancient Babylonian religious systems, as well as from Judaism, Christianity and Hinduism. No one except the Freemasons themselves are supposed to know what actually happens in the rites of the lodge, but most of this information has already been published by people who left the movement, even some from the highest levels (31st, 32nd and 33rd degree freemasons). A lot can also be known about freemasonry by studying their own publications. Why Do Men become Freemasons? Many men become freemasons because they are invited to do so by colleagues who are usually further up the social scale than they are themselves. Men are led to understand that by joining the lodge they will enjoy many benefits and opportunities in society which they would not otherwise enjoy. Freemasons will almost always favor each other above someone else who is not a member of the lodge. Business opportunities, special favors, invitations to positions of influence are some of the benefits enjoyed by many devoted members of the lodge. Most freemasons go no further than the Master Mason level (3rd level). However, those that press on to study for the rituals of the higher levels of the York or Scottish rites soon learn that there are mysteries which those at the lower levels are not permitted to know. In fact, they find out that those at lower levels are deliberately misled concerning the doctrine and practices of freemasonry. Those who have earned the right to know can be proud of their superiority over the rest of the ignorant masses. There is the constant lure of increased esoteric knowledge, power and influence for those who "climb the mountain" of masonic advancement. Of course this appeals to human nature. There is a strong desire in natural men for power, control, influence, recognition and secret knowledge. Freemasonry promises this to its loyal devotees. However, when we realises that deliberate deception is being practiced, we should smell a rat. Many Anglican clergymen are and have been freemasons. Clergymen from other denominations are also involved. New initiates are told that Freemasonry is basically a moral movement for the betterment of humanity in which people of all religions can participate. However, it is not possible to follow the Bible and accept masonic doctrines and practices at the same time. In one of their rituals, masons kiss the Bible goodbye. 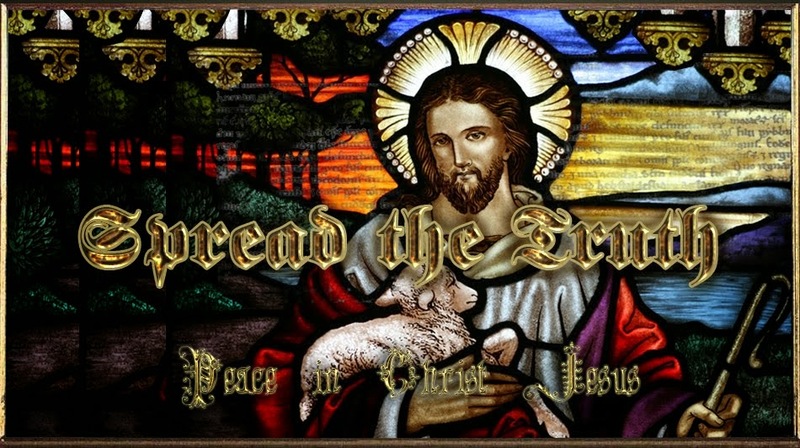 The ways of Jesus Christ who taught openly and without deception are incompatible with the ways of freemasonry. Who is the god of Freemasonry? 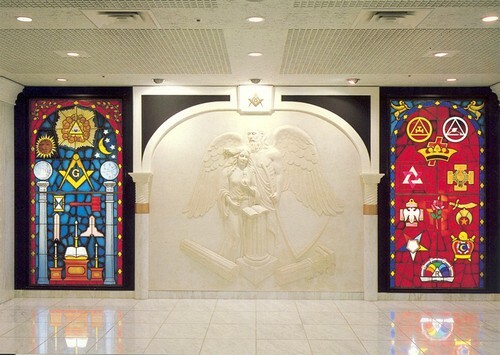 Lower level masons are told that masons must believe in a deity known as The Great Architect of the Universe. However, when they get to one of the mid range levels (about level 8 I believe) they are then told that the deity of freemasonry is in fact called 'Jahbulon', This name is a syncretic mixture of a [false god - Jah], the Babylonian god 'Bel' ('Baal') and the Egyptian god 'On'. The Old Testament speaks out strongly against these pagan deities (Isaiah 46 for example). The people of Israel were not even supposed to take the names of these gods upon their lips! How can this 'Jahbulon' be one and the same as the God of the Bible? Christianity declares Jesus Christ to be God in human flesh. How can Jesus be Jahbulon? The very idea is blasphemous to a Christian. Things get worse when a freemason reaches the 31st level. At this stage, freemasons are informed that the true name of God is Lucifer. Now Lucifer is the name of the angel that fell from heaven through rebellion and became the devil, or Satan. 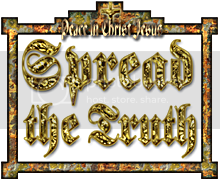 Satan is the arch-enemy of the people of God! Freemasons claim that Lucifer is really the true god they serve. At the same time they are quick to point out that they consider Satanism to be a heresy. Yet the antipathy of freemasonry towards the true and living God of the Christians comes out clearly here, as indeed it does in other places. Christians are instructed to "flee from idolatry". No true disciple of Jesus Christ could stay within the movement of freemasonry once he knew the facts. In fact, anyone knowing the Bible at all and wanting to respect it could not so much as go through the initiation rituals of a first level mason, since they involve horrible curses. Renounce it completely. Jesus said, "For what shall it profit a man, if he shall gain the whole world, and lose his own soul?" (Mark 8:36) The social advantages of being a freemason do not compare with the advantages of being free to follow Jesus Christ in the fullness of the Holy Spirit. Further, no professing Christian involved in Freemasonry can stay in the movement without deliberately living in rebellion against God, once the facts about freemasonry are clearly known. If you have ancestors who were freemasons, or you have been involved yourself, you will need deliverance from evil spirits. These spirits have the characteristic of producing a kind of spiritual blindness in people. Its no wonder since the initiation of a first level mason involves the initiate wearing a blindfold. Even those who reach the top of the mountain of freemasonry are told that a cloud obscures the view from the top of the mountain. The connections with spiritual blindness should be obvious enough. For the sake of Christ, reconsider your position and take a stand for Christ. Put your vision and efforts into discipleship in the Kingdom of God and not in the lying system of Freemasonry. There is no salvation except through Jesus Christ. Jesus said, "I am the way, the truth, and the life: no man cometh unto the Father, but by me" (John 14:6). The officers of the Royal Arch Degree all put on a show, "mourning for the loss of Osiris". Does not this coincide with the "weeping for Tammuz "routine? Nimrod, the Babylonian version of the Sun god (Osiris is merely the Egyptian version of the same). Nimrod supposedly died and went on up into the Sun, to thereafter send rays of blessing back down upon the people of Babylon who worshipped him. And supposedly, Nimrod and Semiramis had a son by the name of Tammuz, who was a reincarnation of Nimrod, the Sun god. Tammuz was killed because he was trying to promote the idea of Sun Worship to a certain King. This is why, in the Mystery Religion Ceremonies, which the Masons imitate- they "mourned for Tammuz" or mourned for Nimrod -whom Tammuz was a reincarnation of. And you see- the whole idea is that Tammuz was the "coming back" of Nimrod, which was proof to them of, guess what? of Immortality of the Soul! This was their guarantee that they too could be immortal "gods". This is why, during the Mason's Royal Arch "mystery", they all weep and mourn for the seeming loss of Osiris (Nimrod) the god. But then, according to Author Charles Heckethorn, the Sun begins to gain its meridian height and shines on the gold plate. This is symbolic, of course, of when Nimrod, after he died and went up to the Sun, seemed to go down into the ocean at night and "die" again. But then in the morning, the Sun would rise up again, as a guarantee that the Sun God was still alive, which was a guarantee of immortality of the Soul. During this Royal Arch Mystery- the Sun would shine on the plate and show the initiates that the "Lost word" or Osiris, or Nimrod, the Sun god was still around. They had found it! The lost word: JAH - BUL - ON is merely 3 different ways to say the name of their Sun god!